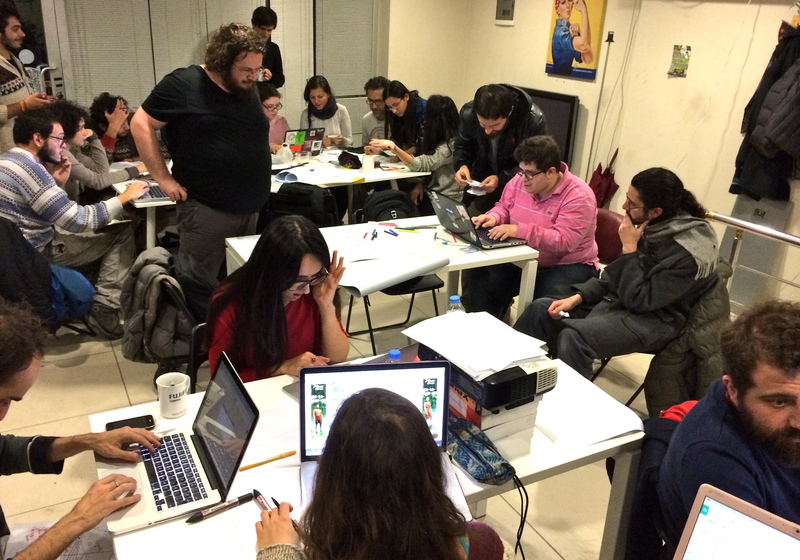 In this one-day workshop at Hackerspace Istanbul, we had more than 30 participants who were technologists, academics, students, and well not surprisingly, hackers and hacktivists. We formed collaboration groups around various graph ideas. 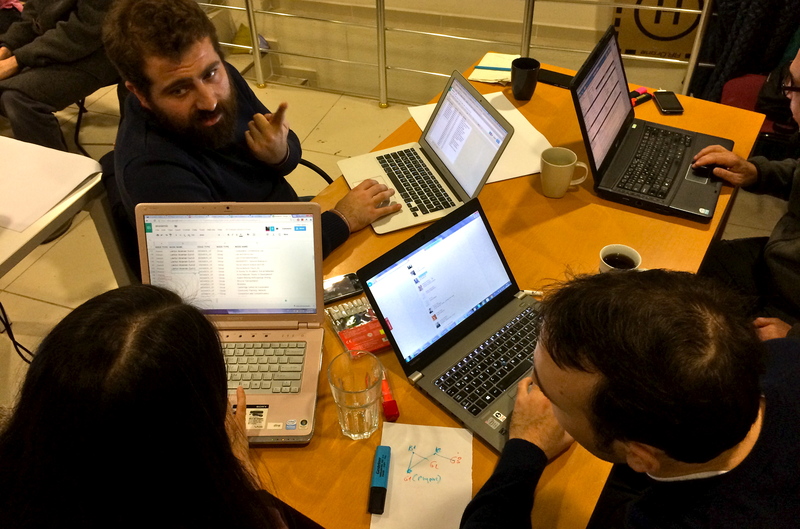 While some of the mapping exercises were based on surveys within the workshop, others combined various databases and existing research as their data sources. 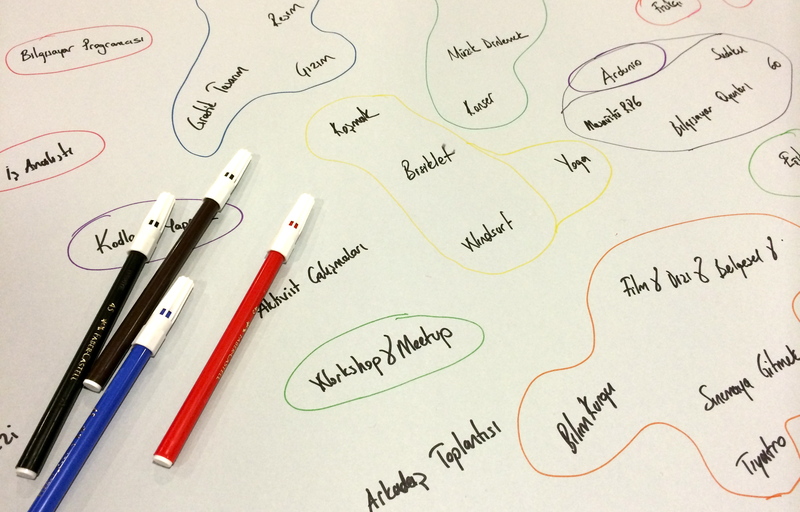 Below is selected work from the workshop with short explanations, photos, and graph screenshots. 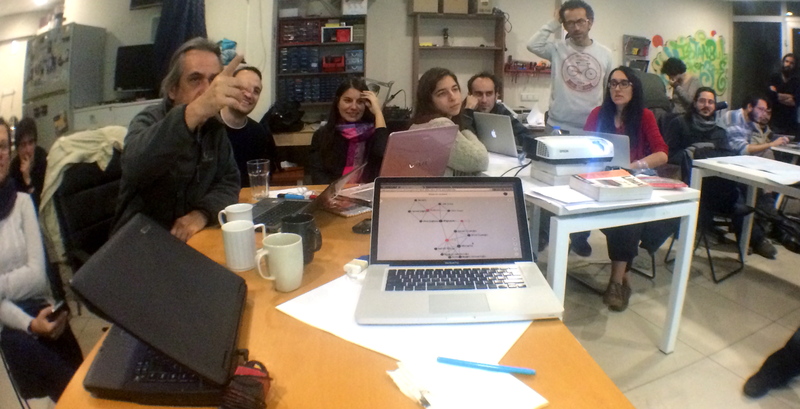 “Graph of cartoons you remember from your childhood” built through a survey of the workshop participants. People were asked to name the 5 earliest cartoons that they remember from their childhood. Age and memory correlation of cartoons was the main focus for this graph. 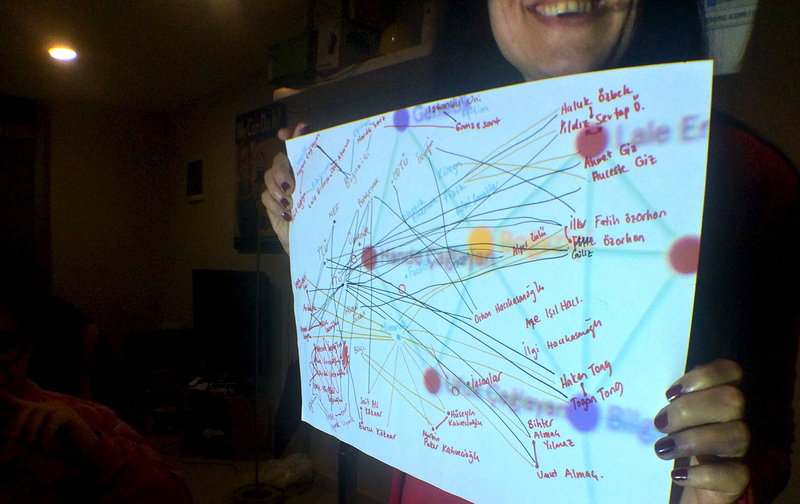 Making a larger survey, adding the gender dimension, combining with TV series, extracting keywords through film content analysis were some of the ideas for the next step of this graph. 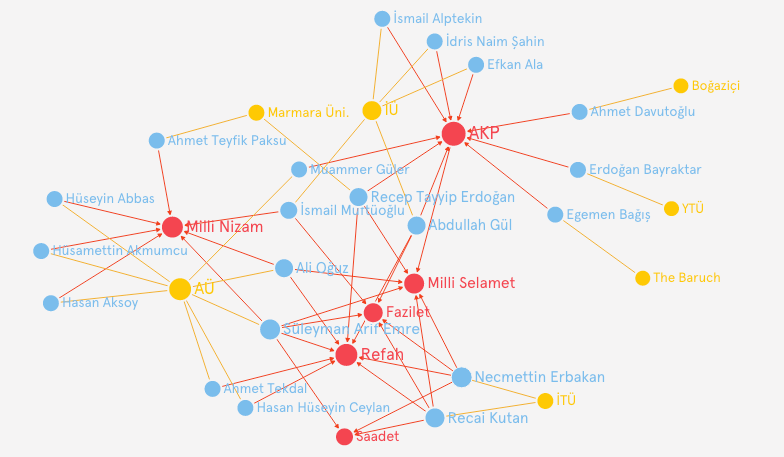 “AKP’s genealogy network including alumni and ideology relations” built in two separate graphs as a model to improve with the addition of funding sources, international relations, and political events. Data source was the biographies in the government websites and referenced articles from Wikipedia. 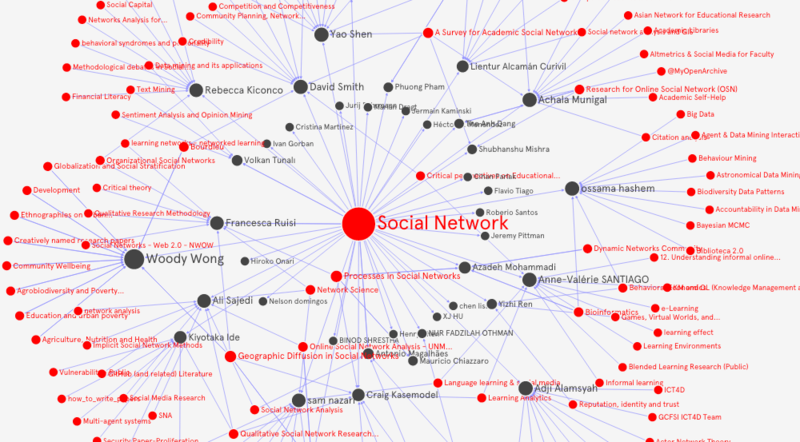 “Research interest graph based on Academia.edu groups” built by four participants. 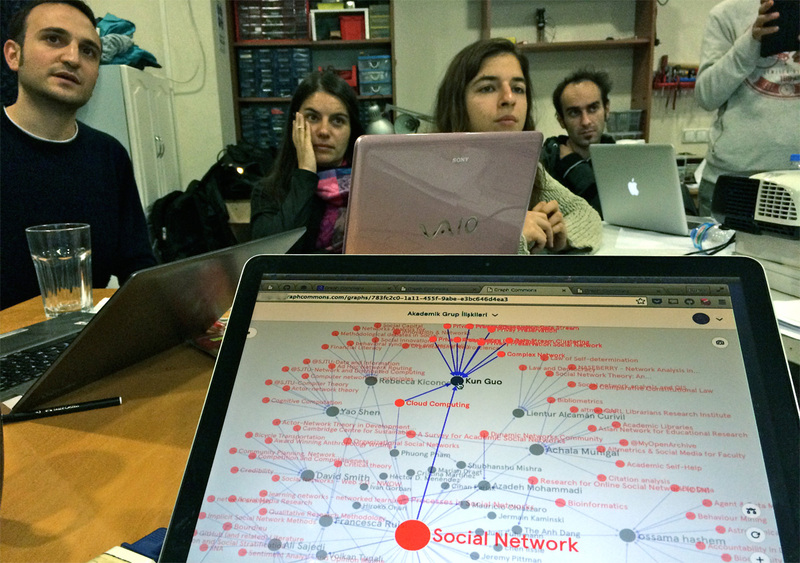 Data compiling started from the “Social Network” interest group at Academia.edu and the members of the group were traced one step into their other interest groups. 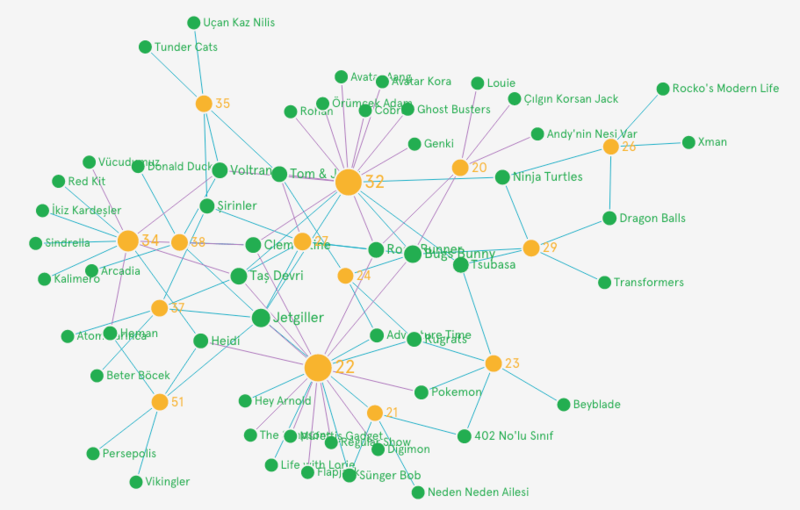 The resulting graph could easily become a recommendation engine: “Academics who are interested in this group are also interested in these other groups”. 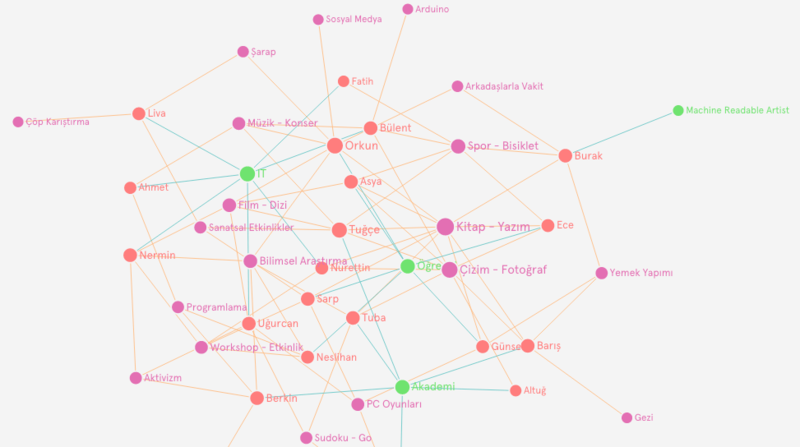 The group also built a “Kinship network in the academia” where you can trace the family relations between the academics across universities in Turkey. 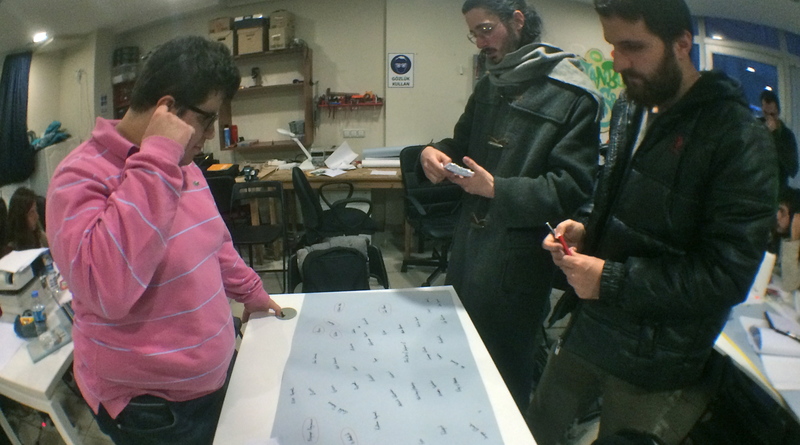 “How we spend our spare time” graph was built through a survey of Hackerspace workshop participants, showing the similarities of leisure activities. 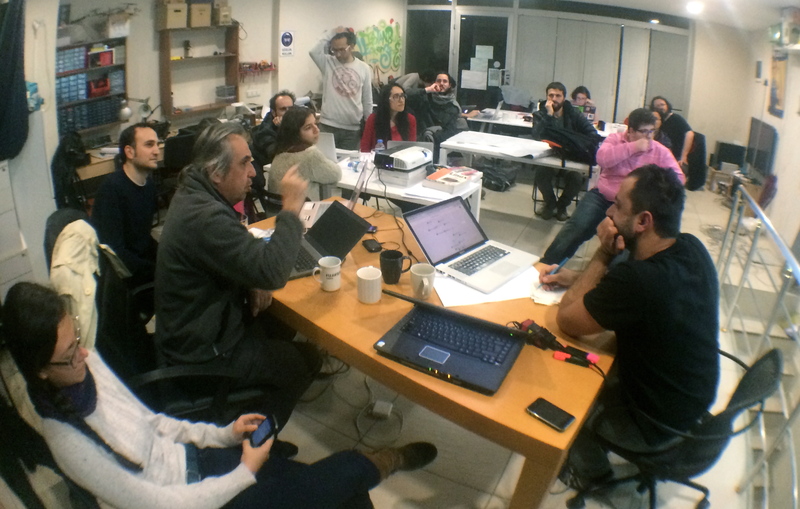 “Turkey’s Internet startup ecosystem” was created as a model for mapping the startups, founders and their investors. 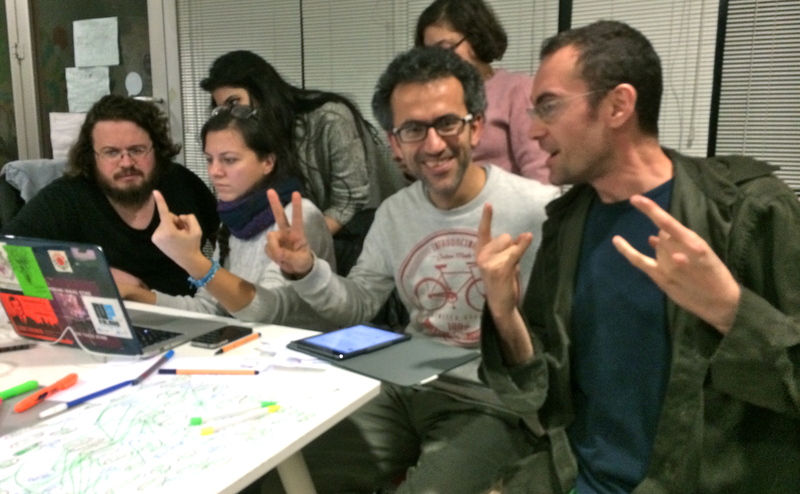 It is a start and definitely needs more effort and accountable data resources. 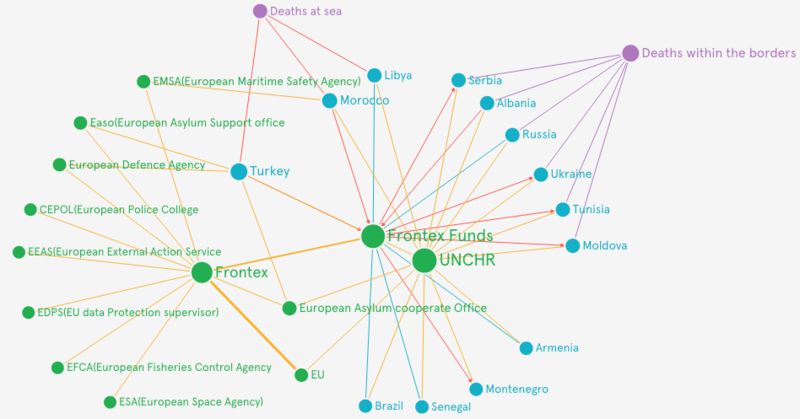 “Graph of Frontex, European agency for border protection” is based on the direct and indirect cooperation between countries and Frontex funds on asylum seekers. 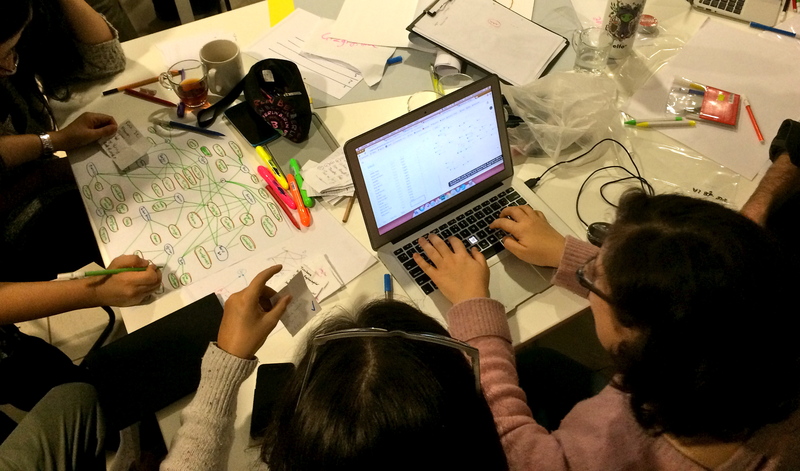 “Graph of organisms found in Marmara under sea digs” is based on the oceanography research done in the Marmara Sea in Turkey. 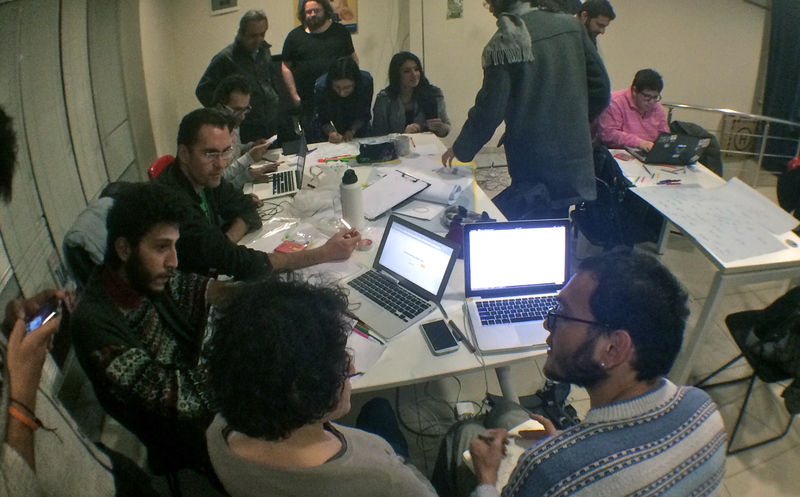 Below are some great moments from the workshop.